Remember TanaCon? 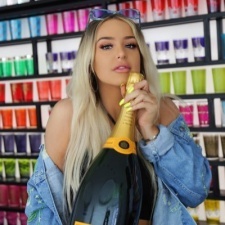 The terrible event set up out of rage as YouTuber Tana Mongeau failed to get an invite to VidCon? It's getting another documentary. What's even better is that the documentary is being made by CEO of Good Times Entertainment Michael Weist, the company that helped Mongeau set up TanaCon. TanaCon: The Documentary will showcase the planning stages of the convention, the mistakes that were made and the lessons Weist and his team learned from putting on the event, which was widely branded as a massive failure. In a press release, Weist referred to the event as “the greatest risk, loss, and lesson I’ve ever had to learn". The documentary will follow on from Shane Dawson's series of videos chronicling the events of TanaCon. In the same PR swoop, Weist announced that Good Times Entertainment filed for bankruptcy on October 17th. According to Weist, the company lost around $700,000 and concluded that bankruptcy was the best option. TanaCon was dubbed as an impromptu fan event which served as Mongeau's middle finger to VidCon. However, the event was cut short after almost 20,000 people tried to get in and things quickly got out of hand. He also adds that Mongeau continued to "defame" and "slander" him after the event took place, which caused "irrevocable" damage and ultimately led to the downfall of his enterprise.